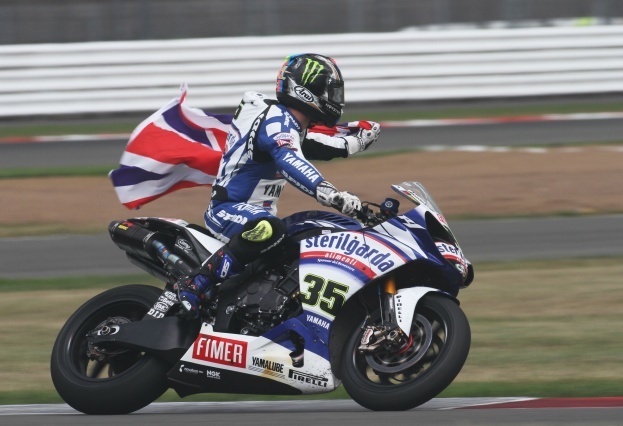 A crowd of 65,000 was at Silverstone this weekend (30 July - 01 August) to celebrate two all-British podiums at Britain’s round of the 2010 FIM Superbike World Championship. Cal Crutchlow powered to victory in both of Sunday’s two World Superbike races, and was joined on the podium by fellow-Brits Jonathan Rea and Leon Haslam in the first race and Jonathan Rea and Leon Camier in the second race of the day. It was the first time the riders had raced on Silverstone’s new 3.666 mile Grand Prix circuit and the Brit-pack put on a fantastic show in front of their home crowd. The revised layout was a resounding success, providing plenty of overtaking and receiving a big thumbs-up from the riders. “What a weekend for the Brits”, exclaimed Richard Phillips, Managing Director of Silverstone Circuits Limited. “I am delighted with the way that today has gone. We have had a great crowd here and they have been treated to some fantastic racing topped off by two all British podiums”. “Importantly, we’ve had another fantastic reaction to the new circuit layout. The World Superbike riders have raved about the new track, echoing the sentiments of the MotoGP riders and Formula 1 drivers who have raced here in recent weeks. Both the old and new sections of track are providing plenty of overtaking opportunities. Speaking on World Superbikes’ return to Silverstone Paolo Flammini, CEO of Infront Motor Sports, said: "It is great to be back at Silverstone, racing at the Home of British Motor Sport. The circuit looks fantastic, they are continuing to invest in further developments around the venue and the riders love the new layout. We hope this is just the start of a long term relationship with Silverstone."